In my last post I left you with an image of a 14-year-old farm boy who prayed and saw a vision of Heavenly Father and Jesus Christ. Jesus Christ Himself told Joseph that His church did not exist on the earth and not to join any of the existing churches. This boy would be prepared to become a prophet of God, and restore Jesus Christ’s church to the earth -the church He established when He was on the earth – a living church, with continuing revelation for the benefit of all mankind. God has always called prophets in his own due time to testify of Jesus Christ and His gospel, to help people know God’s true character, and to denounce sin, warning of its consequences. Notice where Christ says a corrupt tree cannot bring forth good fruit. 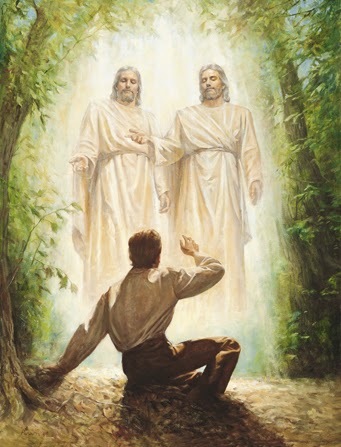 To know if Joseph Smith was a false prophet (a corrupt tree), we must look at his fruits. What was he like? What did he do from the day of his vision at 14 years old to the day of his martyrdom when he was only 38? So it was with me. I had actually seen a light, and in the midst of that light I saw two Personages, and they did in reality speak to me; and though I was hated and persecuted for saying that I had seen a vision, yet it was true; and while they were persecuting me, reviling me, and speaking all manner of evil against me falsely for so saying, I was led to say in my heart: Why persecute me for telling the truth? I have actually seen a vision; and who am I that I can withstand God, or why does the world think to make me deny what I have actually seen? 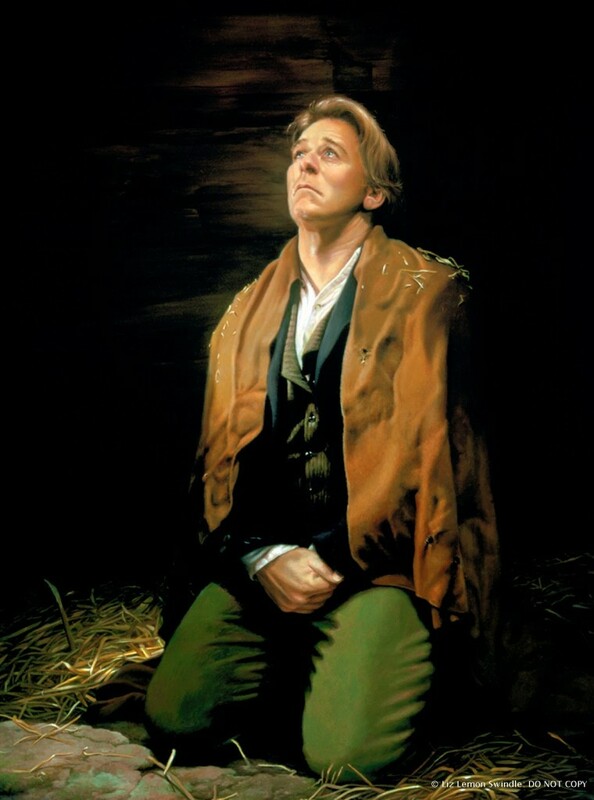 For I had seen a vision; I knew it, and I knew that God knew it, and I could not deny it, neither dared I do it; at least I knew that by so doing I would offend God, and come under condemnation (Joseph Smith – History 1:23-25). 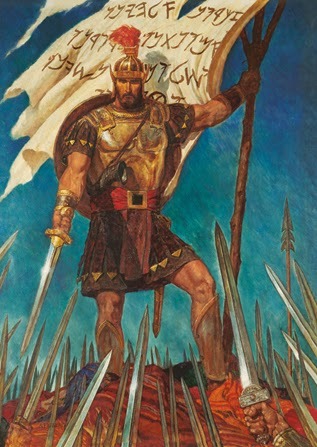 This persecution would only get more hateful and severe as the years went on, including being tarred and feathered, unjustly imprisoned more than once, and finally martyred (along with his beloved brother, Hyrum) by a mob of over a hundred men. This isn’t to mention the devastating persecution that the early members of the church would endure, such as being forced to leave their homes or die. My heart aches whenever I read about the awful treatment of these peaceful people just trying to follow God’s will. 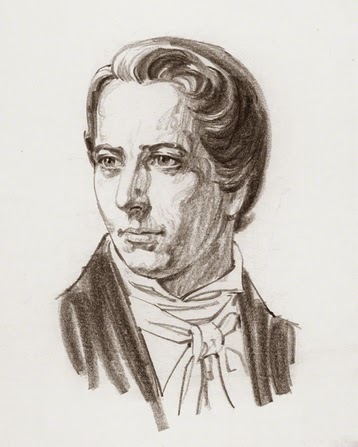 Just as the original members of the church knew it, I know that Joseph Smith was a prophet. I just know it. I could talk to you about his character, about the people who loved him, about his faith in Jesus Christ to the end, about the legacy he has left, and I could never adequately describe how I know he is a prophet – how he must have been a prophet. The most compelling reason I can give you as to how I know Joseph was a prophet of God, is that I know that the Book of Mormon is true. 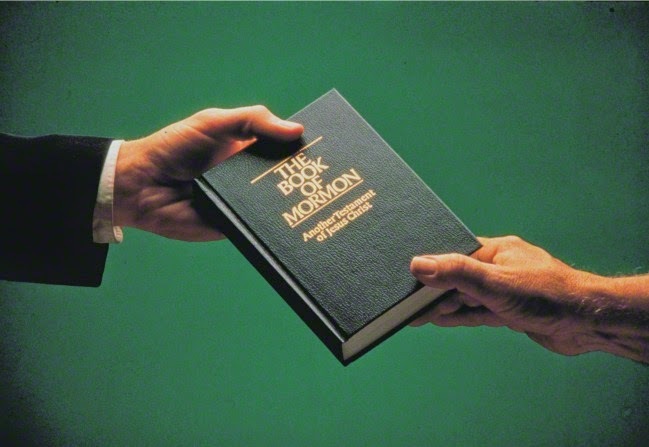 I know that many of you have heard of the Book of Mormon. I have heard some of the things people think about it. People assume that Joseph Smith wrote it, and that Mormons use it instead of the Bible. What if I told you he didn’t write it? Joseph Smith was not an educated man. He was in his early 20s when he translated the book. The Book of Mormon is 531 pages. If he wrote it, he wrote it in less than three months, at a rate of about 10 pages a day – ten times faster than a professional translator copying down text already written. 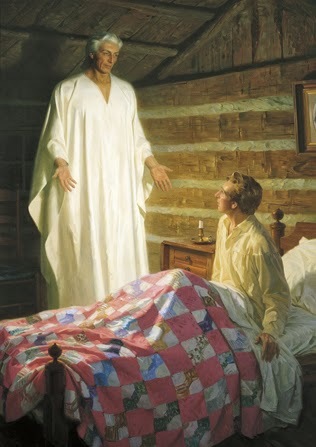 I believe as Joseph Smith said, that an angel, named Moroni, appeared to him and told him where an ancient record, written on gold plates, was buried. These plates were written by prophets living in ancient America from 600 B.C. to around 400 A.D. Joseph was given sacred instruments to aid him in the translation of the records. It is easy to find fault in this story, and call it unrealistic. However, look inside your hearts and think about what you know from the Bible. Think about the workings of the Lord – angels appearing, sacred instruments – is that so out of the ordinary? 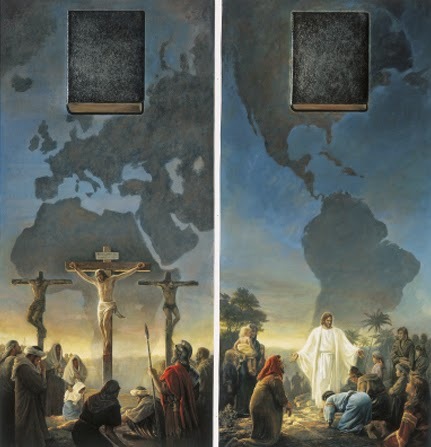 There were also many witnesses who saw and touched the gold plates, whose testimonies are in the beginning of The Book of Mormon. Joseph also had help translating. Many would serve as scribes to his translation, such as his wife, Emma, and Oliver Cowdery. I also recognize that many Christians believe that God is done speaking, that the last messages came from the 12 apostles, and that the only written holy records are in the Bible. It makes so much sense to me, and offers me so much comfort, that Jesus loves all people in every nation, and that He wishes all of them to have the Truth. The Book of Mormon does not replace the Bible. It is a book meant to complement the Bible. It is a book meant to prove that the Bible is true! It is a book meant to prove to the world that Jesus is the Christ. 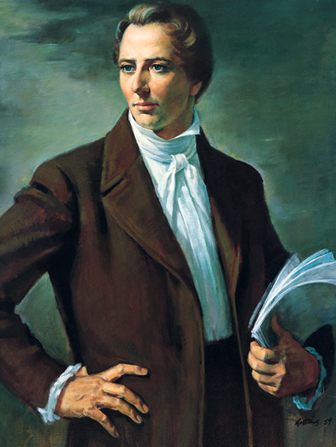 Joseph Smith, if he were the fraud that people say he was, could not have written a book like this – a book where over half of the verses refer to Jesus Christ; a book filled with heroes and prophets who showed courage, faith, love, service, obedience and integrity; a book that brings clarity to the messages of the Bible; a book that makes its humble reader feel closer to Christ. 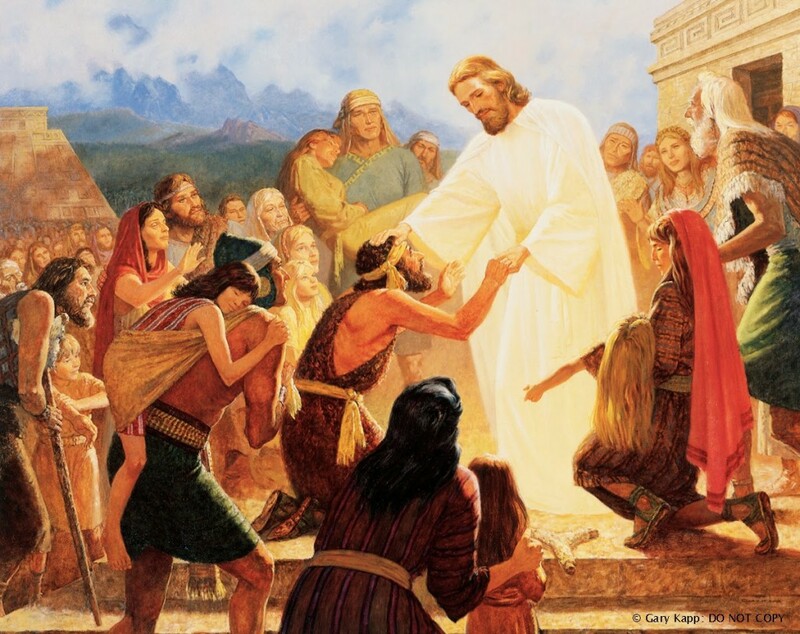 Did you know that in the Book of Mormon, the resurrected Jesus Christ visits the people of the Americas? Did you know that He lets every person touch His hands and His feet, blesses each and every child, heals every person with an infirmity, teaches the same gospel He taught to the Israelites, and ordains 12 apostles to preach His word and carry the authority to act in His name? With tears in my eyes, I ask you, would a false prophet, a wolf in sheep’s clothing, bring forth a book like this? I could quote hundreds of passages that are just as spiritually fulfilling as these. I have prayed, and I have received an answer that this book is the word of God, and truly is another testament of Jesus Christ. I have read it many times, and will continue to read it throughout my life, to enlarge my heart and nourish my soul. If you aren’t quite convinced you want to read The Book of Mormon, will you please watch this short video clip? Each time I watch it, I feel the Spirit testify truth to me. If nothing else, perhaps it will open your heart to want to find out for yourself. 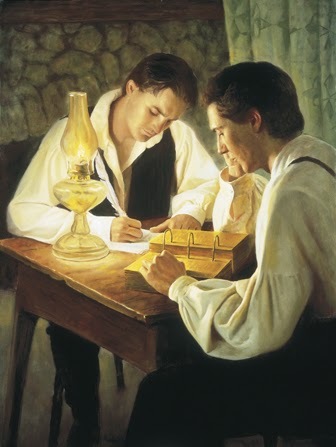 I am so grateful that Joseph Smith asked a question, and that he was willing to do what the Lord commanded him upon receiving the answer. He dedicated the remainder of his life to serving the Lord, and restoring His church to the earth. His life and death were not in vain, and he was most certainly not a wolf in sheep’s clothing. He was a true prophet of God.